Persons in custody have to be taken nearly 16 miles to Ballymote. 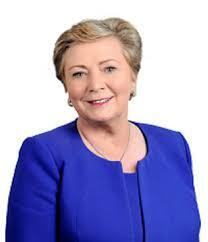 Minister for Justice Frances Fitzgerald. It was also indicated that that owing to the condition of prisoner facilities in the existing building, arrested or detained persons have to be transported almost 16 miles for remand in the South of the county, at Ballymote. Both bodies were also working to identify how the station should be reconfigured. The works will involve refurbishment of the public office, custody management and welfare facilities for the station party. “It is obviously important that the custody facilities meet standards that ensure the proper treatment of persons in custody,” she said. The delay is seen as yet another body blow to the North West capital. A few weeks ago it was reported that 36 government officials are being relocated from Sligo to Dublin. The local Dail deputies are Martin Kenny, Sinn Fein, Tony McLoughlin, Fine Gael, and Eamon Scanlon and MarcMacSharry, Fianna Fail. Fianna Fail are supporting the current Fine Gael-led Government. Minister acting after taking legal advice on existing provision. 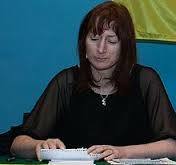 Issues raised by TD Clare Daly about obligation on drivers to prove PPSN. The application form which drivers seeking driving licences are being forced to complete has no proper legal footing, it would appear. Under current arrangements, drivers are also being ordered to provide independent evidence showing that the PPSN they have entered on forms is registered to them. However, it now seems that the process is devoid of lawful authority. This has been revealed following questions put to the Minister for Transport, Shane Ross by Dublin Independent TD Clare Daly. She raised the matter after complaints that applications for licences were being refused where, among other things, the driver failed to submit proof of their PPSN. But an investigation has shown, however, that the requirement for proof of the PPSN looks to have been inserted in the application form after the Statutory Instrument governing the process was brought into force. The Road Safety Authority is responsible for managing the driving licence operation under the Department of Transport. In her question, Deputy Daly asked Minister Ross if his attention had been drawn to the fact that the driving licence application form currently being used by the National Driver Licence Service (NDLS) differed from the statutory form contained in statutory instrument number 420 of 2013. She also asked him to state whether the National Driver Licence Service or any other agency has the authority to change or alter the statutory driving licence application form as contained in the statutory instrument. Despite his decision indicating that the form and by extension the Statutory Instrument by which it is governed has to be updated to conform to the requirement of the relevant Act, officials of his department have stated the current version of the form is valid within the meaning of the Interpretation Act. If indeed this is the case, why then would the minister be preparing regulations to update the contents of the existing form? The Minister did not respond to the point concerning whether the wording of a statutory instrument, in this case the driving licence application form, can be amended without the statutory instrument being first updated by ministerial order. 19-year-old medical student allegedly raped and drowned while cycling home from a party. Helped out at a refugee home in her spare time. Tensions are running high in Germany where a 17-year-old Afghan asylum seeker is being held for questioning following the killing of an EU official’s daughter. 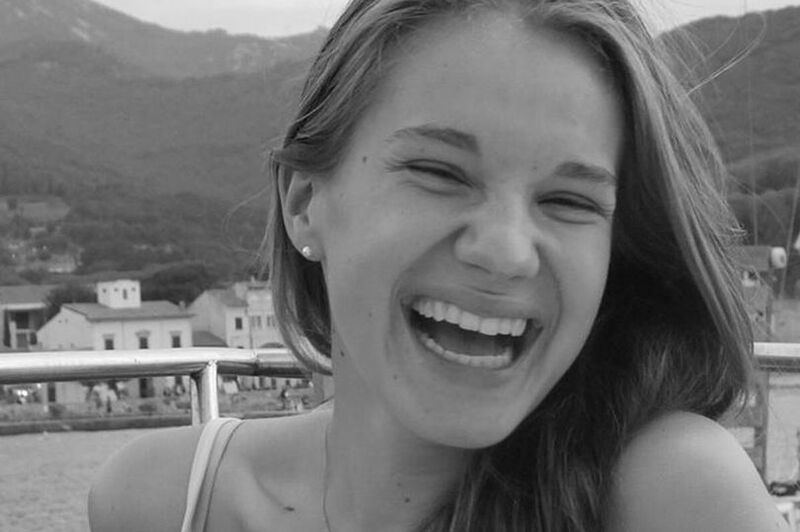 Maria Ladenburger, 19, a medical student, was killed while cycling home from a party in the university city of Freiburg, near the border with Switzerland, on 16 October. She was allegedly drowned after being raped. Her body was later recovered from the River Dreisam. Her father is Dr. Clemens Laderburger, a lawyer who since 2008 has been an assistant to the director of the European Commission’s legal division. Maria helped out at a refugee home in her spare time. According to German media reports, a suspect will stand trial early next year. It is believed that crime among unaccompanied male refugees has been increasing in the country. Chancellor Angela Merkel is said to be facing a growing wave of anger over her open-door refugee policy. EPA report says fracking could go ahead but highlights paucity of environmental data. Study released a month after Dail vote on Bill to outlaw the controversial process. The Environmental Protection Agency has said fracking could proceed in Ireland. 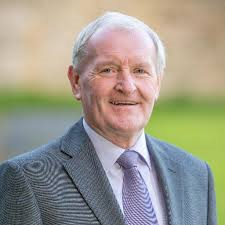 Commenting this afternoon, McLoughlin said the Bill provided for a clear and unequivocal position to be taken concerning the “exploration and extraction of petroleum from shale rock, tight sands and coal seams on the Irish onshore and also in our internal waters. Minister of State, Denis Naughten says it is his opinion the EPA report justifies the decision to continue to ban hydraulic fracking in the country. Still no new government investment in North West industrial development. 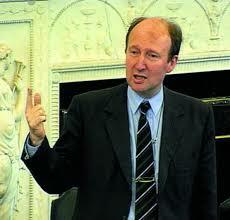 Fears Fianna Fail backed Coalition hell-bent on holding major industry in the East. Some funding has been allocated for North West projects, but there still has been no announcement of any significant government investment in job-creating industrial development. It is feared the Fianna Fail backed Coalition government is intent on concentrating major industry primarily in the East of the country, leaving areas like Sligo and Leitrim to rely on the fragile tourism sector for survival. Sligo, in particular, is facing an uphill struggle to maintain existing retail business – many commercial units have closed or changed hands in the town and county. Are TDs too tame in their approach to securing overdue new development? 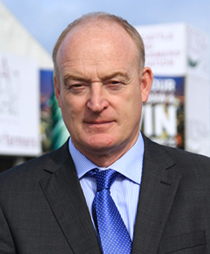 Sligo-Leitrim has four Dail deputies – Martin Kenny, Sinn Fein, Marc MacSharry and Eamon Scanlon, both Fianna Fail and Tony McLoughlin, Fine Gael. Projects for which funding has been announced include a new discovery centre at Knock Airport in Mayo. Other allocations have been made for angling and food tasting in Leitrim, upgrading of town facilities in County Donegal and activities at Ox Mountains biking centre and an enterprise operation in Tubbercurry. McLoughlin has said the aid will boost the local economy and improve living standards in the rural hinterland. No scientific basis for decision. Risk to tens of thousands of jobs. 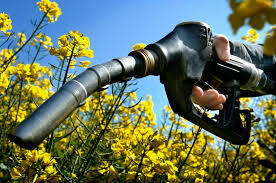 It would appear the EU is backing away from its existing policy on biofuels. According to the ICSA, leaked Commission proposals apparently reveal moves to slash the target for the crop biofuel component of EU transport fuels from 7% to 3.4% by 2030. The strategy, he said, “flies in the face of logic. It will also, he said, end investor interest in EU biofuels, have a direct knock-on effect on the efforts to revive the Irish sugar industry and make it harder to achieve EU targets to cut GHG emissions from road traffic. He said, “ICSA wants to see crop-based biofuels supported because they offer a real option for hard- pressed farmers to make money rather than being totally reliant on food and feed which are in surplus in Europe. “Sustainable crop-based biofuels provide a win-win in Europe. Contrary to the ludicrous notion that forests will be levelled and bogs drained, crop-based biofuels can fill multiple roles from each hectare grown. “A hectare used for biofuels still produces top class animal feed as a by-product of the fuel production process. As an additional bonus, the by-product feed is higher in protein and thus reduces the need for soya imports from South America. “For years now, we have listened to EU Commissioners laud the multifunctional character of EU agriculture. In part, this was because both WTO rules and NGO pressures were hostile to policies which subsidised extra food exports from Europe. It is now hypocritical to reverse direction and say that much needed renewable fuels are no longer acceptable and that we should go back to expanding food exports to markets in the least developed countries. He said the ICSA is now calling on all of the parties in Dail Eireann to “live up to the undertakings that they have given on the issue of sugar/biofuel production” and to reject at national and EU level any cuts in the existing EU support for this. 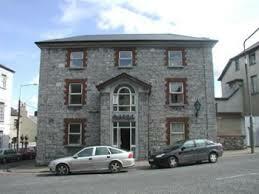 The body of a man in his 50s has been discovered at a house in Sligo’s Holborn Street this afternoon. Gardai have sealed off the property for a forensic and technical examination.